At Smooth Ambler, after we began merchant bottling the whiskey we call Old Scout, it occurred to us that at some point it may be fun and interesting to blend a little of the delicious bourbon we source with the smooth and sweet wheated bourbon we distill here in West Virginia. 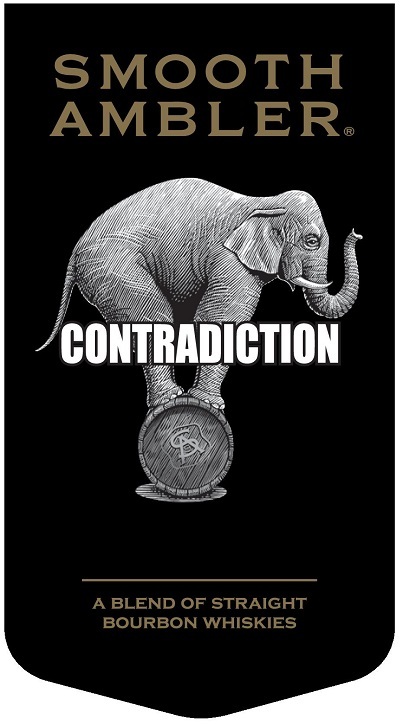 With that notion in mind, Contradiction was born; a blend of whiskey we make with whiskey we do not. 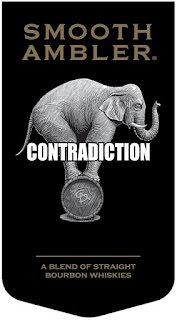 Contradiction is non-chill filtered and is full-bodied, with notes of dried fruit and butter rum, and has the end-result of tasting like a four-grain bourbon. Mashbill: Merchant bottled bourbon made with corn, rye and malted barley married with homemade bourbon made with corn, wheat and malted barley. Distillation Process: Continuous column distillation and pot distillation. Aging: A blend of different straight whiskeys, there are different ages represented in Contradiction. The majority whiskey is more than 9 years in age.